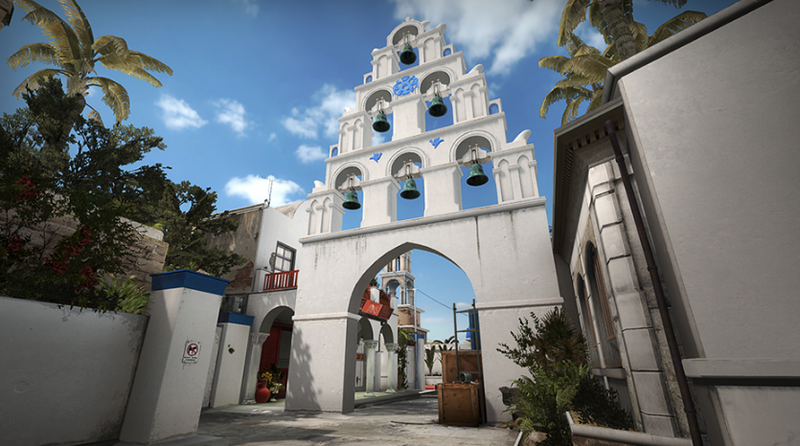 Santorini is one of Counter-Strike’s most well-regarded recent maps. It’s attractive, well-balanced, and compact enough to create tense showdowns. How do you make a map that stands out in a Dust2-obsessed CSGO landscape? Like this. Santorini creator Shawn “FMPONE” Snelling teamed up with Max Reiger to create a slick video of Santorini’s methodical evolution over time. It’s interesting stuff. Watch the way crates move on the A bombsite, how corridors change size ever so slightly, how architecture takes on significantly different functions as it shifts in form. Try paying close attention to how much the wall and building changed on Bottom Mid over the course of iterations. It’s all so meticulous. Every inch counts. Santorini is part of CSGO’s current Operation Wildfire event, which runs until June 17. I’ve seen quite a bit of clamoring for it to be included in CSGO’s Active Duty (read: competitive) map group after the event wraps up. I think it’d be a good fit. How about you?